They dont come any fresher than this. The river supports a wide range of wildlife and was until the early 1960s one of the most important spring salmon fisheries in Ireland. Click here for a more detailed description of the catchment area. 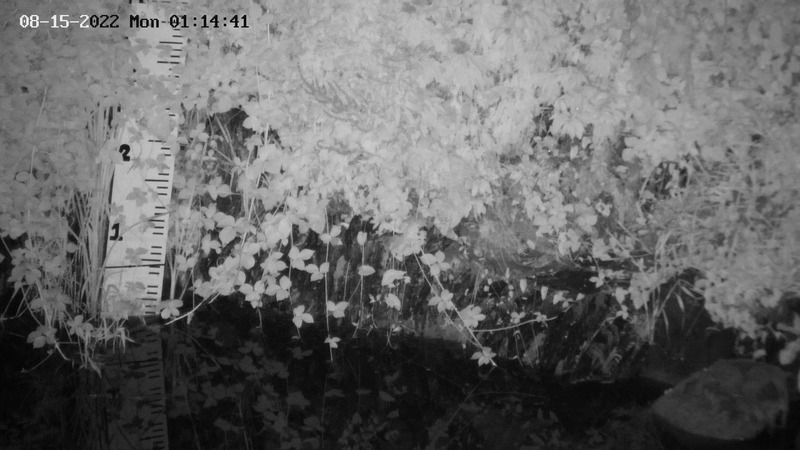 The live river cam shows the condition and depth of the water downstream from Bunclody. The pictures are updated every 5 minutes. The River Cam page has snapshots going back to midday the previous Sunday. See more articles on our 'News & Info' page. Have you spotted any lamprey? Inland Fisheries Ireland (IFI) are always on the lookout for records of lamprey in the River Slaney. Ireland has 3 species of lamprey - brook (12cm), river (30cm) and sea lamprey (70-90cm). All 3 species are of conservation concern and are listed in Annex II of the EU Habitats Directive. Brook lamprey are resident in freshwater all year round but river and sea lamprey migrate from the marine environment to spawn in freshwater. While brook lamprey are widespread and abundant in the Slaney, river and sea lamprey are much more scarce. 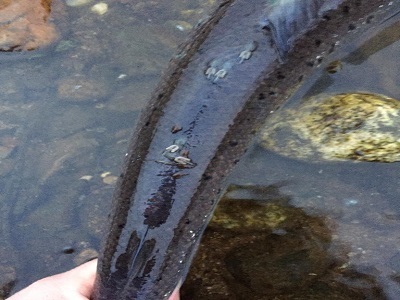 Lamprey spawn between March – June and we would be extremely grateful if you could send any records of sightings (including date and location) to tara.gallagher@fisheriesireland.ie. Many thanks. 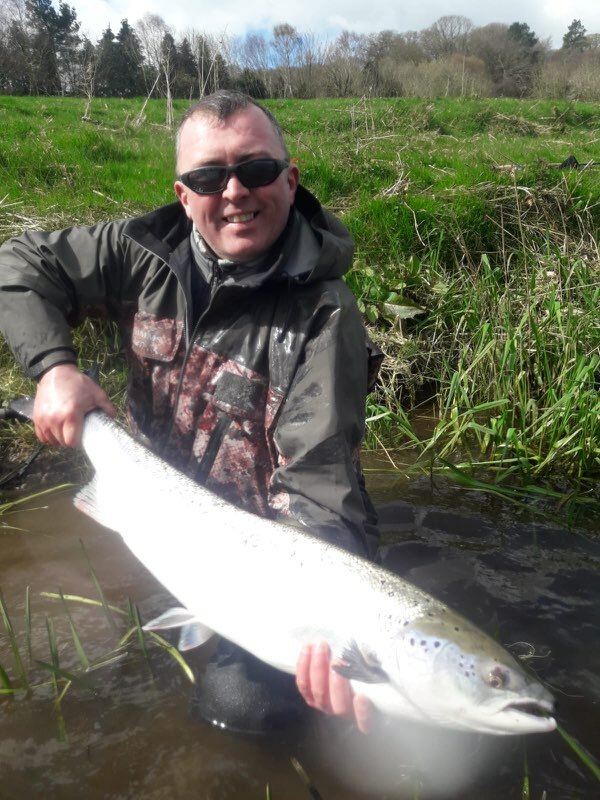 Based on limited reports of approximately 20 fish landed for the week the Slaney was relatively disappointing given the water level and high tides. However 2 groups of anglers fishing different beats had red letter days landing 4 and 6 fish including this one on Wednesday. A number of fish have been referred to as having possible net marks. The SRT would be very interested in receiving photos of that kind of damage. 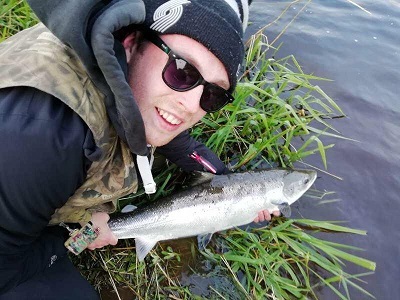 Despite the river remaining at an adequate height for fish to run catches tapered off this week with 10 fish reported landed including this one got by Paddy Corcoran on Sunday. 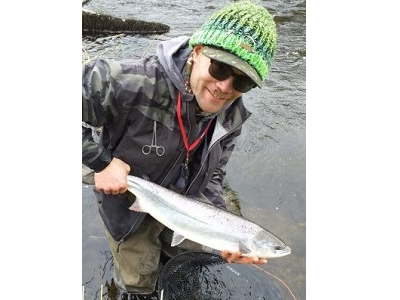 The very cold upstream wind, apart from making the more exposed beats difficult to fish, traditionally keeps the fish down and there was little sign of action. 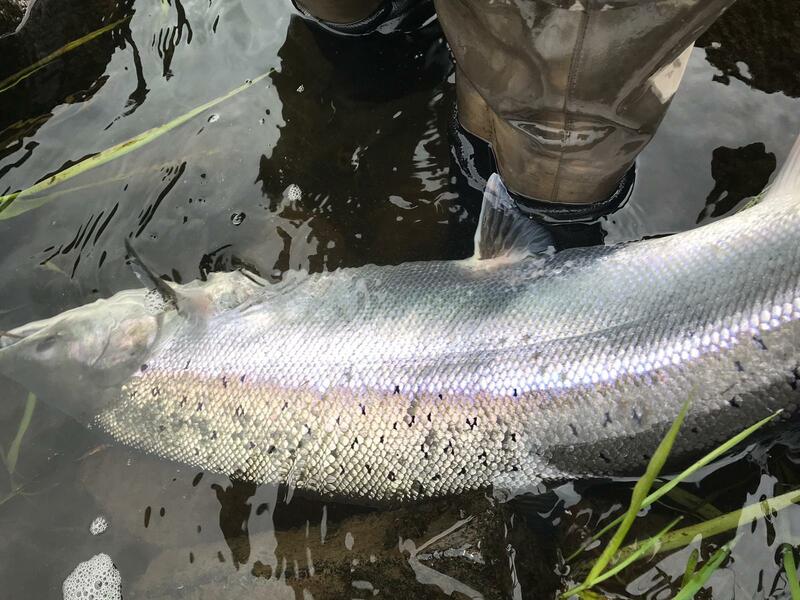 More encouragingly the smolt run has started and a number of exceptionally healthy and large smolts are being encountered. Please be sure to release them carefully. Hopefully with the rain arriving a rise in water level may bring a few more fresh fish in this week. The first 8 days of the season have proven exciting for those anglers who were prepared to put the hours in with over 35 fish reported. Many of them were fresh run as shown by this sealiced example caught this evening. 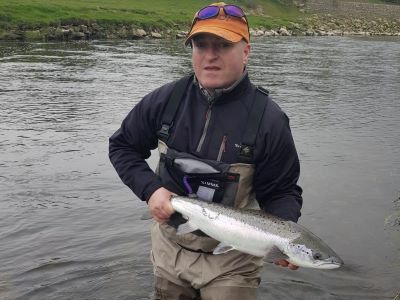 The run is well spread out including examples from up river such as these springers from Shane Jenkins and Michael McCormack. Please note the careful C&R technique used in all cases. At the SRT meeting on Friday the IFI representatives reported that there had been a number of recent successful court prosecutions leading to hefty fines. We look forward to seeing a fuller report on them. 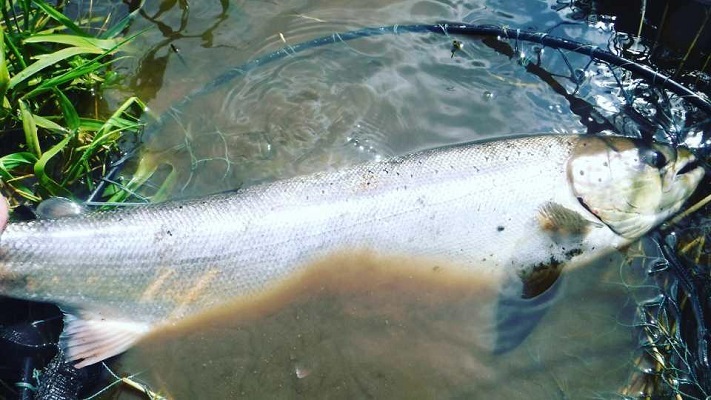 It is critical for the river that legitimate anglers are out on the river and that any suspect activity is reported to IFI as soon as possible. Anglers on the river are the front line deterrent against poachers. 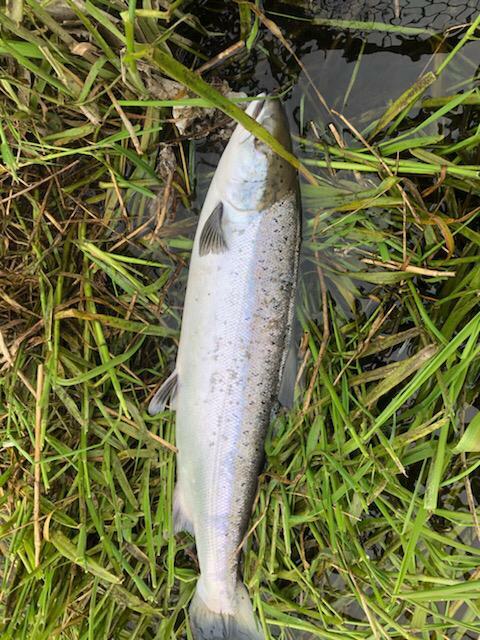 For 2019 the river is open for catch and release only for salmon from 1 April to 31 August. The regulations are set out here. Above the railway bridge in Enniscorthy fishing is fly only with barbless singles or doubles. 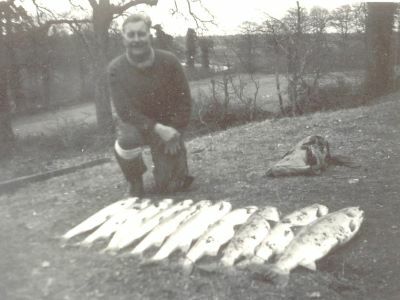 A maximum of 3 seatrout under 40cms may be kept in any 24 hour period. All seatrout over 40 cms must be returned. While we are allowed use barbless doubles singles are very effective if the fish is held tightly. Our AGM will be held on Friday 5th April at 7.15 pm in Redmond’s, Bunclody. All are welcome to attend, both members and non-members alike. An agenda, together with a set of annual accounts, will be posted on our website prior to then. All the work carried out by your board is on a voluntary basis. We are working tirelessly on your behalf on many critical issues along the river. We made a huge effort in relation to the opening of the river. Without this pressure and negotiations at the very highest level we believe the river would be closed. We are working on the Clohamon Millrace project, and are making good progress in relation to finding a solution to the catastrophic grid issue. We are involved in implementing a system to protect the river from poaching, including recruiting additional water keepers. 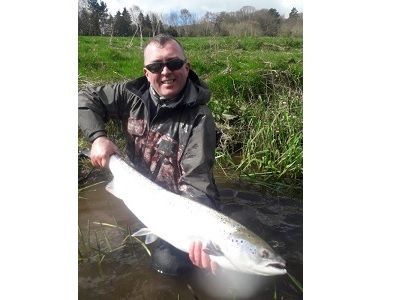 We provide anglers with an excellent river gauge and provide fishing reports on a regular basis through-out the season. We invest in insurance for all our members. These important items consume many man hours and incur considerable expenditure, all of which are funded by membership subscriptions alone. The subscription amount for 2019 is €50. As in previous years, it includes Public and Personal Accident insurance cover. Posting a cheque to Thomas Mernagh, Ballybawn Lane, Rathnure, Enniscorthy, Co. Wexford made payable to Slaney Rodfishers Association. Thank you to those who support every year. We look forward to seeing you at the AGM. Our AGM will be held on Friday, 5th April at 7.15 pm in Redmond’s, Bunclody. All are welcome to attend, both members and non- members alike. We hope to see a full house, as there is plenty to cover including an update on the start of the 2019 season (hopefully fish to report), poaching prevention and the Clohamon Tail Race project. An Agenda, together with a set of our annual accounts, will be posted prior to the evening. We very much hope to see you then. Please click here for this years Chairman’s Letter. We hope to see you at the AGM (Details Below).